by Rev. Frederic W. Baue, Ph.D. I am writing this review with a Bic 4-color ball point pen, the kind I’ve been using for over 40 years. Its retractable red, green, blue, and black cylinders are ideal for marking my Bible. 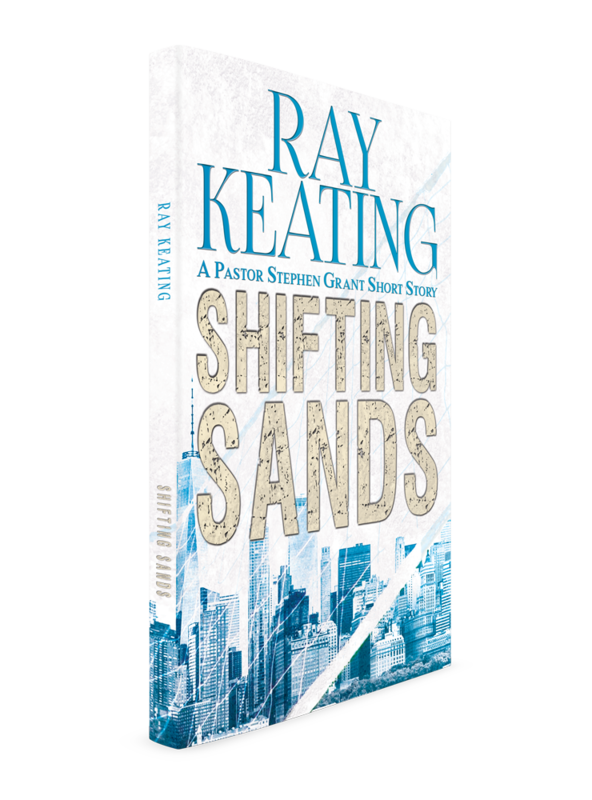 That, however, is not the way this humble little item is used in this excellent debut novel from economics columnist Ray Keating. In fact, let’s use those four colors to structure this review. RED is for blood. 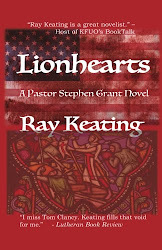 Warrior Monk is the story of Stephen Grant, 40, a Lutheran pastor in Long Island, New York. He loves his ministerial work. But he is a “second-career” guy, having previously served his country as a Navy SEAL, then as a special-ops CIA secret agent. He has several notches on his 10 mm Glock 20. That weapon serves him well when a crazy woman goes on a shooting rampage in his church. He takes her out. Next thing you know, this “pistol-packing pastor” is on the security detail for Pope Augustine I, who is soon to visit Long Island. As the story develops, there is blood, bullets, and action a-plenty in this well-wrought thriller. BLUE, ahem, is for the language employed by the true-to-life characters in Warrior Monk, especially when engaged in action scenes or plotting assassinations. Here we may include scenes of sexual tension between Pastor Grant and a seductive former CIA partner. Let the pious reader be forewarned. BLACK of course stands for evil. There is plenty of it for Grant to handle. The visit of the pope inspires a host of groups that want to kill him. In addition, there is the quieter but deadlier evil of false doctrine which can kill the soul. 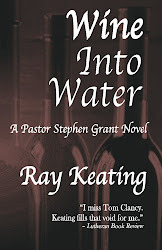 Let me here commend Ray Keating for his accuracy in the details of church stuff. He knows his subject, and excels in depicting the nuances of the various Lutheran church bodies. GREEN means life, and all attendant virtues such as love, truth, order, and so forth. All of these come from God. They are opposed by Satan, working through his villains, femmes fatale, corrupt politicians, heretics, and such. 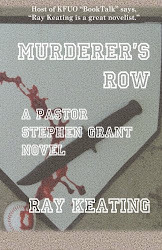 Pastor Stephen Grant is thrown into the conflict, and becomes a Christian-against-crime in the tradition of Chesterton’s Father Brown and Sayers’s Peter Wimsey. 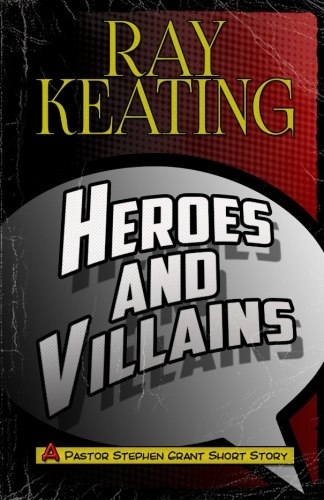 In fact, this is precisely the attraction of detective fiction (and here we may include action-adventure tales) for the Christian writer: the literary conceits of the genre demand that in the end, the crook will be nabbed, the wrong avenged, and order restored. Thus we have an artistic depiction of biblical reality in which no matter how terrible things are, Christ is victor on the Last Day. 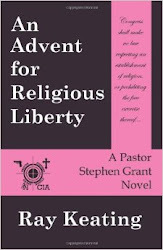 In the meantime pastors like Stephen Grant must work for biblical truth, and secret agents like Stephen Grant must work for civil order. Warrior Monk is a page-turner with intellectual depth. Get this book now. With powerful endorsements by both a congressman (Pete King) and a well known reporter (Larry Kudow) on the cover, I was aching to get into this book. 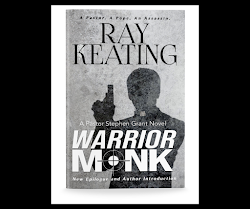 The first of Ray Keating’s Pastor Stephen Grant novels, Warrior Monk, catches your attention from page one. It reads like one of Vince Flynn’s Mitch Rapp adventures, dishing out details and action at a fast pace. And in the midst of that action Keating manages to brilliantly present the reader with thought provoking truths, seemingly little things that aren’t pondered nearly enough, such as a note about church architecture or a relational reality particular to men who hold the pastoral office. At other times he deals with larger topics such as church doctrine and practice. 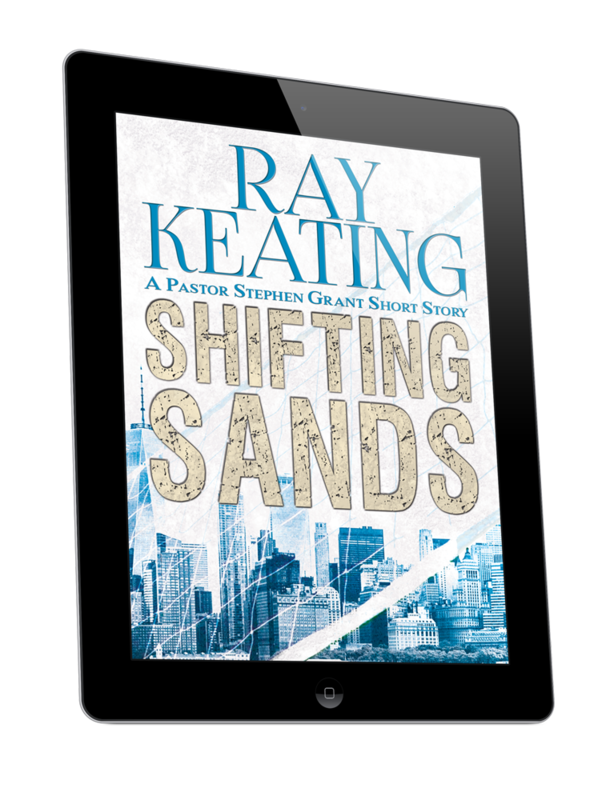 As the story unfolds Keating presents the Christian faith in a real way that any reader will appreciate, exposing differences and difficulties between varying denominations and between the Church and the world without distraction. This perfect backdrop propels the protagonist, and the reader, into the challenges of the book. 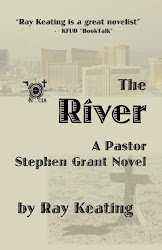 It’s a spectacular ride steeped in theological intrigue! 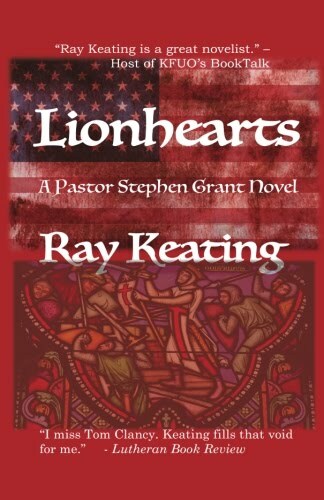 As a fan of G.K. Chesterton I delighted in the similarities between Keating’s Pastor Stephen Grant and Chesterton’s Father Brown. In the 20th century, Chesterton, a journalist (among other things), gave the world a detective priest. 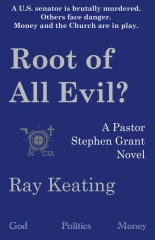 In the 21st, another journalist (among other things), Keating, gave the world a spy-turned-pastor. Grant is not without his Flambeau either. Both characters are the perfect mouthpiece for the authors to speak to the ills of the world in their day and age. The chapters are brief, which makes ingesting the story between the interruptions that are always working to pull this reader out of the adventure a breeze. Chapters four and five deliver the goods. I’ll never sing A Mighty Fortress Is Our God the same way. What a mental picture! The fun never stops. Truly from cover to cover you’re in for a treat. 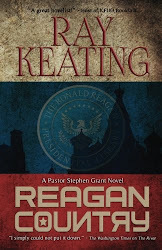 I can’t wait to dive into the next Pastor Stephen Grant novel.